Radio 2's favourite foodie Nigel Barden talks great farm shops. Juliet Harbutt, George Paul, Giles Henschal, and Bruce Langlands are all in a packed issue which comes with Snacking magazine 2014. 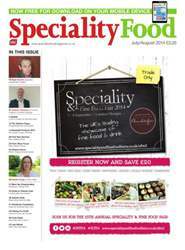 Essential Products 2014, British Cheese Awards results, Nantwich preview, seafood, food for Autumn, early Christmas planning, and a retailers' guide to surviving your first year in business. 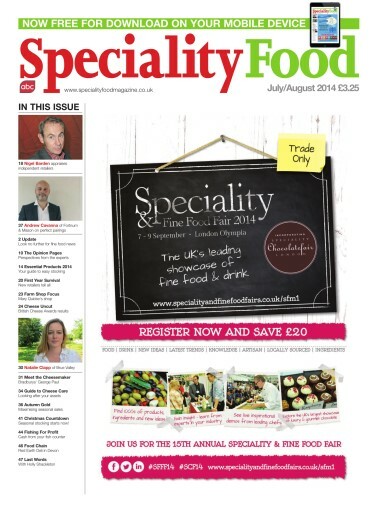 Mary Quicke's new farm shop cafe, how to look after your cheese, and our Meet the Cheeseseller is Cryer and Stott. Our intinerant Food Chain series reaches Devon and the Red Earth Deli.This month's featured farm shops are Farrington's and Hawarden.